Here in the Poconos, we live clean and green lives; practicing an environmentally-friendly lifestyle. 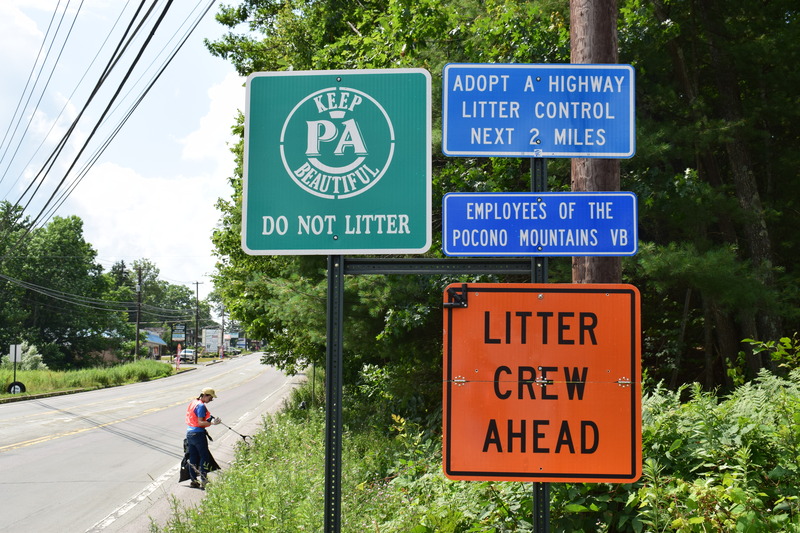 The Pocono Mountains Visitors Bureau’s “Pick Up the Poconos” campaign has resulted in more than 2,707 bags worth of litter being picked up and properly disposed of. Want to get involved? Check out our full calendar of Earth Day events, in which you can get involved to help us stay green and Pick Up the Poconos! Check back in the upcoming weeks for more information on the official Pick Up the Poconos Day, taking place on Saturday, September 28, 2019! 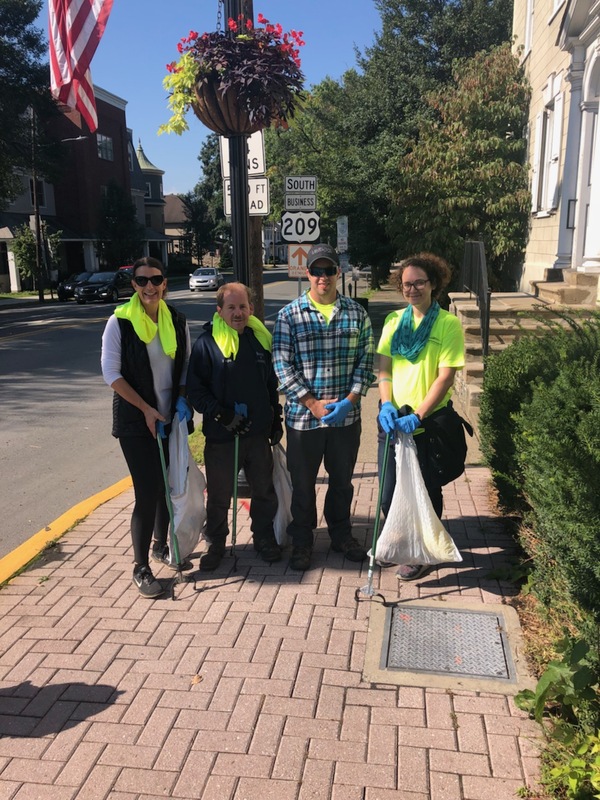 Help keep East Stroudsburg clean! Refreshments, safety vests, gloves, and trash bags will be provided. 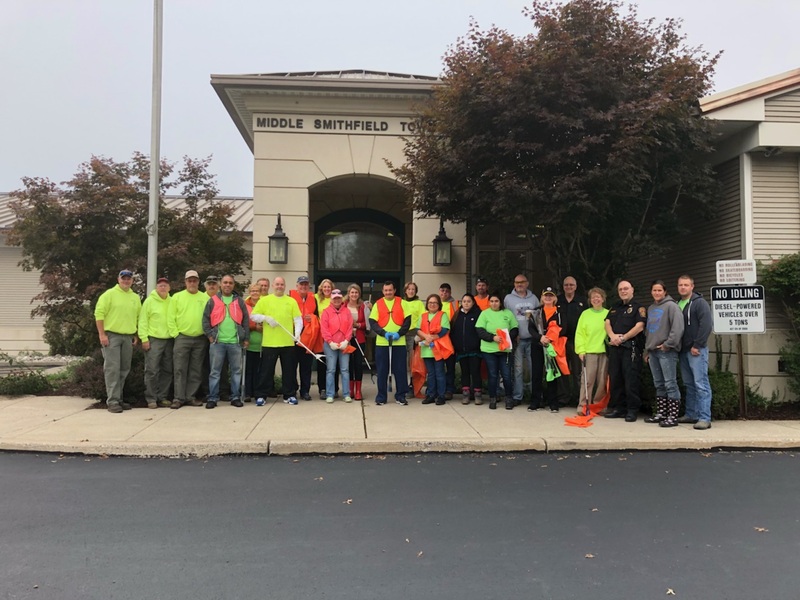 Stroud Township residents are invited to participate in this year's Spring Clean-Up Day! Help clean-up Shafers School House Road as part of the Great American Clean-Up. For more information call 570-643-6100. Residents of Ross Township, Monroe County, PA are invited to clean-up their community on these days with free dumping of litter pick-up. The Great American Cleanup of PA is part of the national Great American Cleanup from March 1st through May 31st. Grand Central Landfill will celebrate Earth Day. Enjoy demonstrations, recycling activities and more from noon-3pm on April 27, 2019. Prevention – Hold onto your trash until you can dispose of it properly. Never throw anything outside a vehicle’s window. Make sure truck tarps and straps are held down tight so no debris can escape. Do not overfill garbage cans or dumpsters. Secure garbage cans from animals like raccoons and bears. 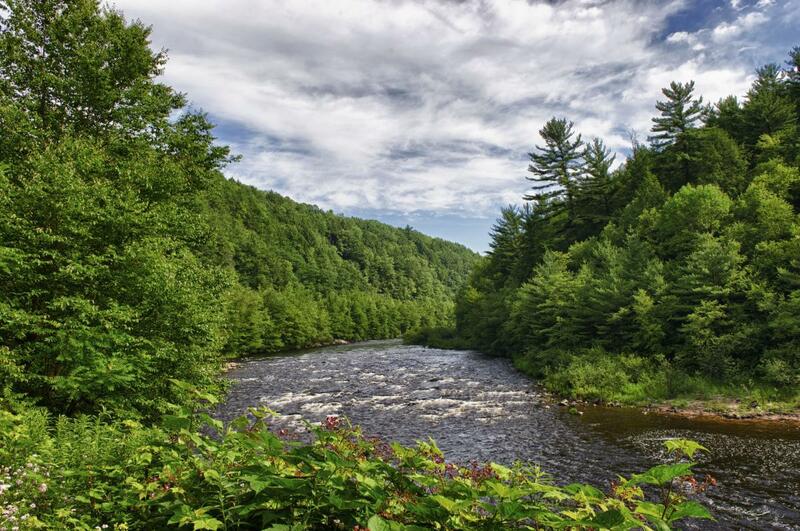 Leave No Trace – When exploring the Poconos, any trash with you. Leave only footprints on hiking trails, rivers, and downtown streets. Come Prepared – If you are visiting for the day, create a plan for the trash you may generate. If there are no trash cans where you will be exploring, bring a trash bag with you and find the closest public trash drop-off - or put it in the trunk and bring it home. Never leave trash on the side of the road, or in any unsolicited area. Pick it Up – If you see litter and it’s safe to do so, pick it up. If you are going hiking, bring along an empty plastic bag and pick up any trash you see as you go. If you are visiting for a few days, make it a goal to pick up at least one piece of garbage per day. Every day is Earth Day in the Pocono Mountains! 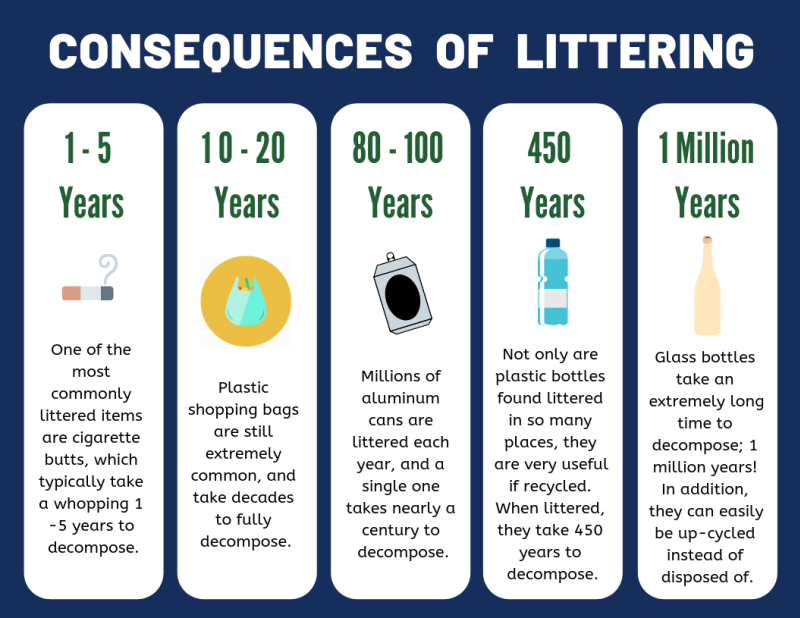 Spread the Word – The more that people are aware of the effects of littering, the less litter there will be. If you see somebody littering, tell them the consequences. Reduce Energy Use – When you leave your hotel room, turn off the AC/heat, lights, and television. Reduce the amount of water used for bathing or showering. Participate in the hotel linen programs or let the hotel know that it&apos;s not necessary to change your sheets and towels every day. 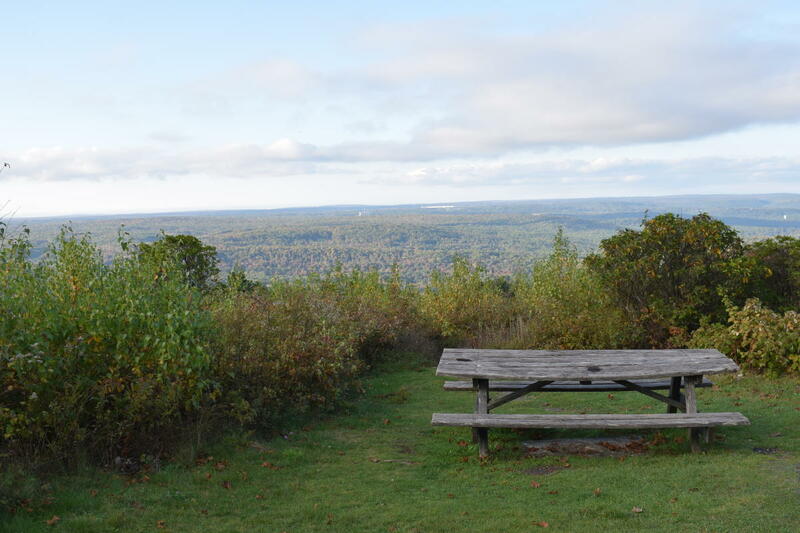 Complete a Survey – Have you been on the Appalachian Trail in, or around, the Poconos? Please complete this survey to help improve our trails and be entered to win hiking gear! Reduce Toiletries Waste – When visiting, bring your own shampoo, soap, toothpaste, etc. of packaging and resources required to produce the mini containers in your lodging. Leave little bottles of amenities in the guestroom if unopened. Reduce Transportation – Enjoy walking tours and walk where sensible. Carpool and use public transportation when available. Try to group your destinations for the most efficient route to reduce fuel consumption and emissions. Recycle – Participate in hotel recycling programs by placing recyclables in appropriate bins. Inform Others on the Nearest Dump and Recycling Sites – Rental properties should provide instructions on trash pick-up or drop-off. Nearby residents can point visitors in the right direction for the nearest dump or recycling center. Get Involved – See what your community is doing to help battle litter and help out. Or, plan your own community using the 5-step guide below. Refer to our Safety Tips and list of Resources for more help. Wear reflective clothing (such as a reflective vest) when working on, or alongside, a roadway. Wear protective clothing as well, such as long pants, closed-toe shoes, and safety glasses. If you are working 15 feet or closer to the road, make sure you put up cones or signs warning drivers. A good rule of thumb is to place signs or cones 10x the speed limit before the start of the work area (ex. If the speed limit is 35mph, place the cones or signs 350ft before the work area). Be aware of traffic and do not cross the road where it is not safe. Be sure to keep bug spray, sunscreen, a cell phone, a first aid kit, snacks, and water on hand. Park all cars as far off the road as you can, and carpool when possible to reduce of cars on the side of the road. Work only during non-peak travel times. Work on one side of the road at a time and face oncoming traffic. Do not wear headphones to listen to you will need to be able to listen for traffic. Be alert for hidden holes and rocks. Watch out for plants and animals that may be dangerous. Be alert for stinging insects, rodents, snakes, deer, and bears. Leave them alone if spotted. Avoid poison ivy (“leaves of three, let it be”) and giant (8-14’ tall stems with small white flowers). When finding hazardous or radioactive materials, note location and call the police. A good rule of thumb is: If you do not know what the item is, don’t touch it. Do not try to pick up tires, heavy objects, or roadkill. Instead, call 1-800-FIX-ROAD and a time will be scheduled to pick it up. They may be able to help with bags, gloves, cones, etc. 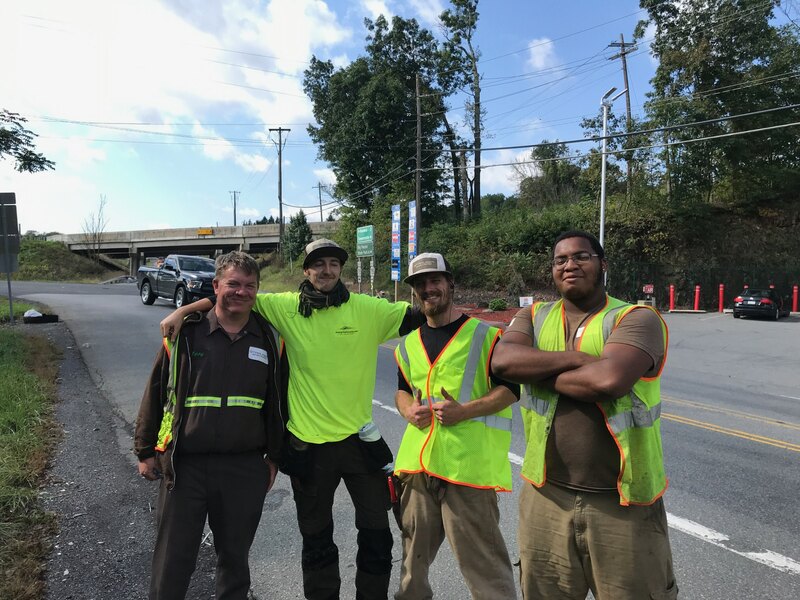 Hired the Adopt A Highway Maintenance Corporation to clean six times per year on Route 80 (East and West), Route 380 (North and South), and numerous highway entrance/exit ramps (1,966 bags picked up to date). The next Pick Up the Poconos Day will be on September 28, 2019. More information to be announced as the time nears. Our official campaign hashtag is #PickUpThePoconos. Are you helping pick up the Poconos? Share your photos on social media with the hashtag to spread the word! Camelback Resort – Does a yearly litter pick-up and has staff periodically throughout the year pick up the trash on property, along Camelback Road, and parts of Sullivan Trail. 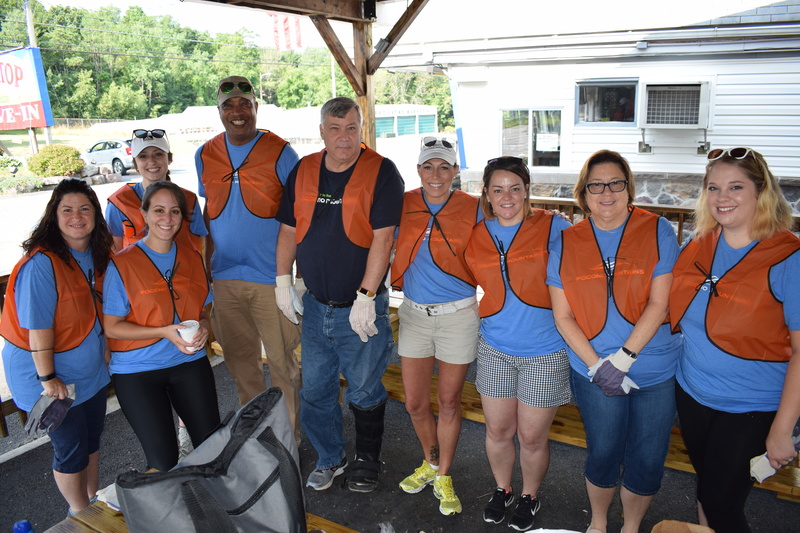 Kittatinny Canoes – Every summer a 3-day clean-up of the Delaware River is held. Pocono Raceway – Picks up litter on Long Pond Road from Route 115 to Stoney Hollow Road. 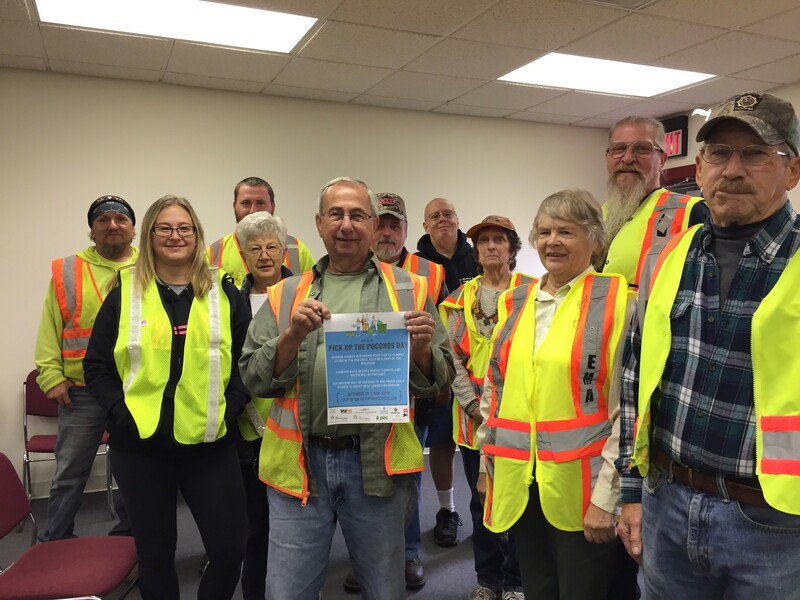 The Shawnee Inn and Golf Resort – Annual River Road Clean-Ups through Keep PA Beautiful. 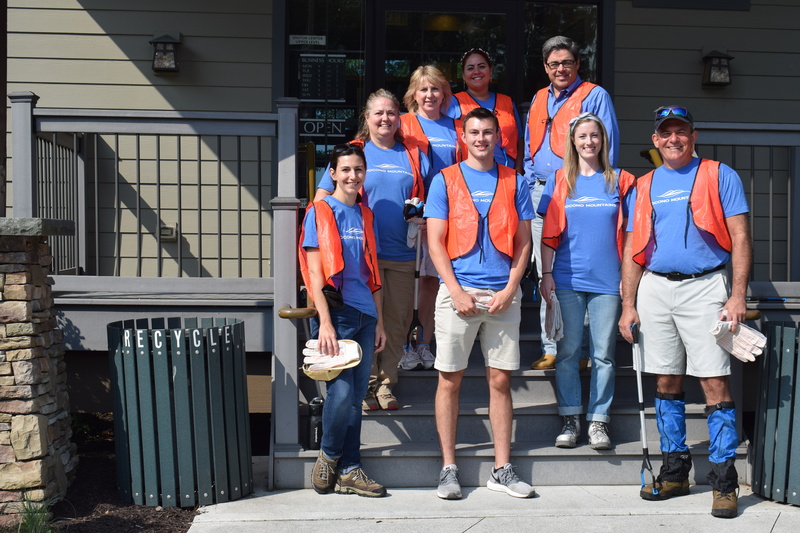 Volunteer for the next River Road Clean-Up on April 27! 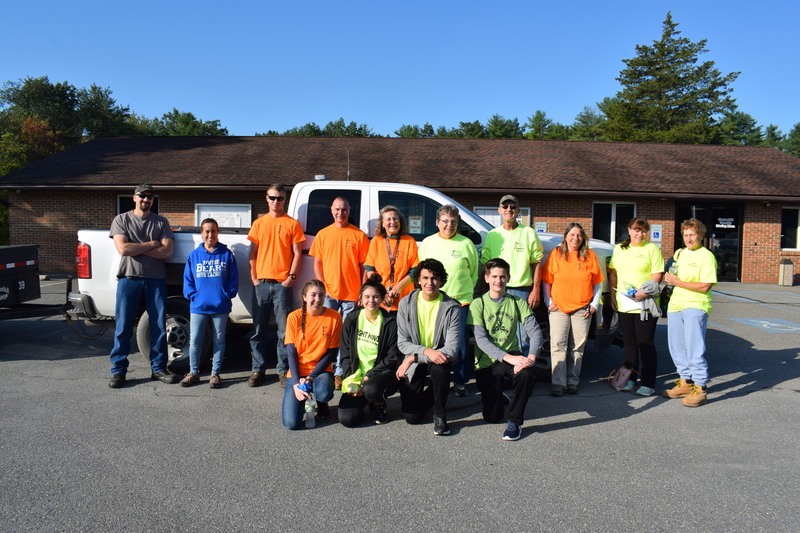 Friends Of Cherry Valley (FOCV) – Picked up over 30 bags of roadside litter just this year along their Adopt-A-Highway location on Route 191; Cherry Valley Road to the Monroe/Northampton County line. Great Wolf Lodge – Phasing out single-use plastic straws, opting to use more environmentally-friendly, paper-based straws that are able to be recycled. Stroudsmoor Country Inn - Does a yearly litter pick-up and has staff pick up trash on property throughout the year. Picks up litter between Route 191 and I-80 four times a year and is a 20-year sponsor in the Adopt-A-Highway location on I-80 Exit 307. Pocono Raceway – Just one initiative to stay green is their solar farm committed to producing clean energy for the business, as well as some spillover for local homes. Split Rock Resort & Golf Club – Collect all used shampoo and conditioner bottles and soaps, send them to a program called Clean the World, and they then recycle them and give them to children in need. Mountain View Vineyard Winery & Brewery – Dry farming techniques cut back on water waste, mulching around vines promotes beneficial insects, and geothermal and solar energy naturally control conditions in the winemaking facility. Barley Creek Brewing Company – Maintains a three-star certified green status from the Green Restaurant Association. Spent grain from the brewery and distillery gets recycled to a farmer, LED efficient lights and other equipment are installed throughout the property, environmentally-friendly to-go containers are used, and spent grain millings are even used to make handcrafted dog biscuits! For more information on how properties in the Poconos are keeping it green, visit the PMVB’s blog, Spotlight on Sustainability.